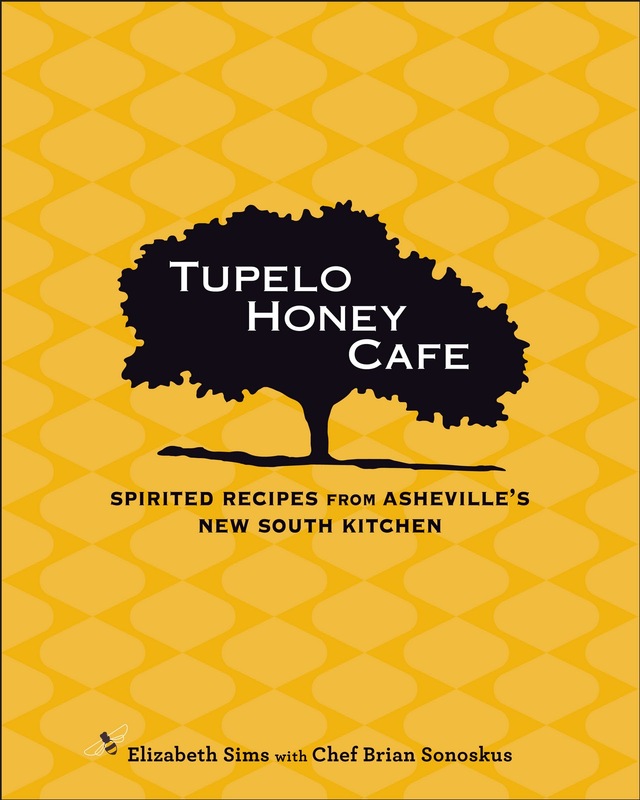 From Goodreads: As an early pioneer in the farm-to-fork movement, chef Brian Sonoskus has been creating delicious dishes at the Tupelo Honey Cafe in downtown Asheville, North Carolina, since it first opened in 2000. And from then on, Tupelo’s food has been consistently fresh, made from scratch, sassy, and scrumptious. Heralding in its own unique style of cuisine representative of the New South, the Tupelo Honey Cafe salutes the love of Southern traditions at the table, but like the people of Asheville, marches to its own drum. The result is a cookbook collection of more than 125 innovative riffs on Southern favorites, illustrated with four-color photographs of the food, restaurant, locals, farmers’ markets, and farms, in addition to black-and-white archival photography of Asheville. At Tupelo, grits become Goat Cheese Grits, fried chicken becomes Nutty Fried Chicken with Mashed Sweet Potatoes, and poached eggs become Eggs with Homemade Crab Cakes and Lemon Hollandaise Sauce. Capturing the independent and creative spirit of Asheville, Tupelo has garnered praise from the New York Times, Southern Living, and the Food Network, just to name a few. For Review from NetGalley: Requested by me! What I Loved: This is the 2nd Honey Based Cookbook (though this one is not strictly just honey based recipes) that I have read and I really enjoyed it. There were several recipes that I want to try and will be buying this one to put on my shelf. The cookbook itself is very much like an old southern kitchen cookbook including tons of gravies, sauces, and everything else that makes a good southern kitchen tick! One of my favs: Warm Pimento Cheese and Chips! I have always wanted to make it home and this recipe is the closest I have seen to what I think should go in it. It includes red bell peppers, cheddar cheese, mayo, dijon mustard, mustard powder, sea salt, black pepper, parsley and only takes about 15 min! YUM! What I Liked: This is a very user friendly cookbook. Nothing seemed to “over a normal person’s head” type of recipe though some required more work than others. I also did not see anything in there that did not call for ingredients that you could not find in a Central Market or Whole Foods and most could be found in your neighborhood grocery. Why I gave it a 4: It was all around easy to follow and there were quite a few recipes that screamed out to be tried. I will be getting it for my cookbook shelf. Who would I recommend it too: Anyone who likes Southern Cooking!